How to Find the Right Wedding Dress Store | Wedding Ideas ARE YOU A VENDOR? Before saying yes to a dress, you’ll have to say yes to a store. 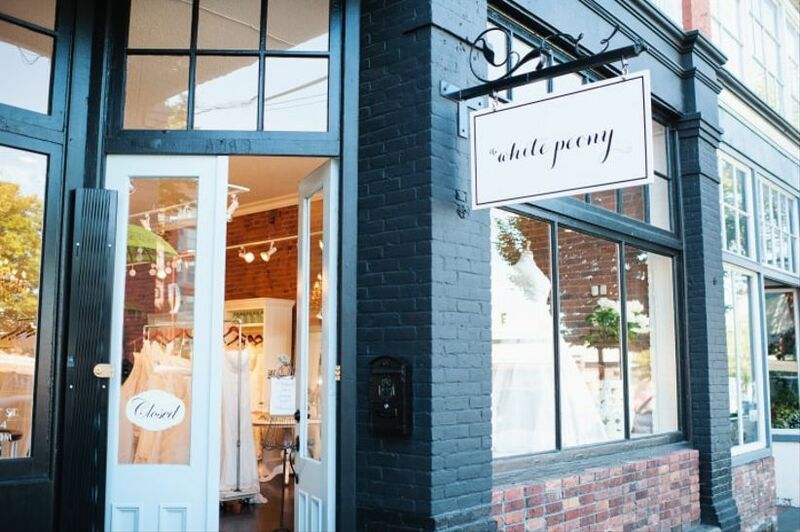 Here’s how to find the bridal boutique of your dreams. On the hunt for the perfect wedding dress? Well, you’ll have to find the right store first. Whether you’re on the prowl for a beach-appropriate number, vintage lace frock or Cinderella-inspired gown, the wedding dress shop you choose makes all the difference. Here are a few tips on finding the right wedding dress store. Like any project, you’ll need to begin with a little research. Before you start scouting stores IRL, get the basis for your search locked down. Look through dress galleries, Pinterest boards and magazines to find out which designers and styles match up with your vision, then move on to finding a place that stocks them (most places will have a designer list online). 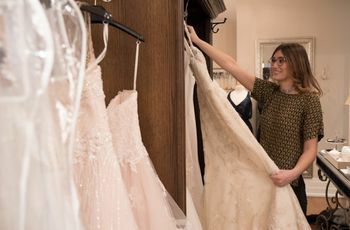 Bridal shop stylists visit Canadian showrooms and international markets to look at thousands of dresses in order to curate a collection of gowns for their customers. Some shops specialize in fashion forward designers or boho-chic styling, while others offer a range of styles to meet a variety of tastes and budgets. Browse bridal shops in our directory to find suitable options. Your married friends and family have tackled the task of dress shopping before, so chances are they have some tips for you. There are plenty of wedding dress shops in our fair country and having a little Q&A with your loved ones may help narrow your search. 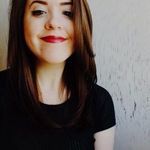 You’ll want to get some key info, like what the stylists are like, what range of dresses they saw in the store and how they felt about the overall experience. Reviews are also helpful during the beginning phases of your hunt. If you don’t feel like your loved ones shed enough light on what’s out there, turn to your good friend the internet. Our online reviews offer up a second opinion and may reveal some hidden gems that you wouldn’t have considered otherwise. Bonus: they usually include info about store policies and store hours, making it easier for you to decide what works best for you. Make sure you’re clear about your budget before you even set foot in a store. This will keep you from falling in love with a gown that’s way over your desired price point (a scenario that has crushed many a bride). To aid you in this process you’ll want to check that the boutiques you plan to visit actually carry gowns that lie within your budget (this means checking online or calling ahead). Once you arrive at your destination, make sure to let the staff know your budget to make things hassle-free. As far as bridal shops are concerned, you’ve got plenty of options, so why not take advantage of them? Different shops carry different designers, cuts and stylists’ opinions. By visiting multiple stores you’ll learn quickly what you like and what you don’t, making the narrowing down process a little easier. Don’t go overboard and give yourself too much choice, but make the effort to visit at least two or three before saying yes to a dress. Have you ever gone shopping and left the store with nothing? The answer is probably yes. This is going to happen more than once when you’re hunting for your dress. You’ll want to sample different styles, designers and boutiques, which means leaving empty-handed a few times. But try not to stress, it’s totally normal. Buying a dress is a big commitment with a big price tag and you should absolutely love what you wear on your wedding day. If you think you’ve found the dress but aren’t prepared to go all in, come back another day and try it on again. Unfortunately, the dress you fall for probably won’t be suited to your exact measurements, and that is A-OK. You are a special snowflake and a tailor will probably have to make a few adjustments for the dress to look perfect. Because of this, you’ll want to know if the bridal boutique you’ve settled on does in-house alterations. The plus of having an on-site tailor is their familiarity with the gowns and designers. Consider this before settling on your store. Selecting the right location is key, as you don’t want to be jet-setting every time you need to go in for a fitting. 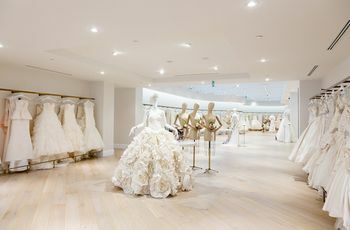 Big cities like Toronto, Calgary and Vancouver are chock full of bridal boutiques while smaller municipalities may only have a handful. 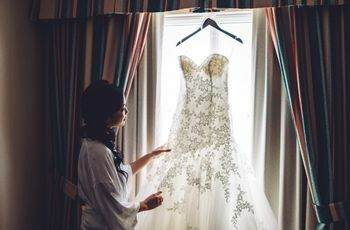 The key is to find somewhere that’s a reasonable distance away that you are willing to travel at least two or three times before your wedding for alterations. 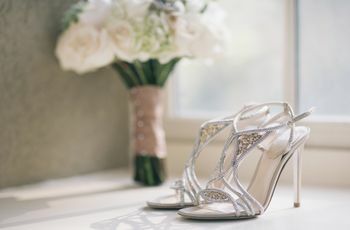 So decide whether you’re down for a two-hour car ride or a mini vacation or two in the months leading up to your big day before choosing a boutique. Not all dress shop experiences are created equal. You’ll want to check in with the stores you’re visiting to see how it all works. Some shops offer walk-ins while others only offer scheduled appointments. Some will allow you to take over the entire store and others will have multiple brides visiting at once. You’ll want to get these details down before embarking on your journey.